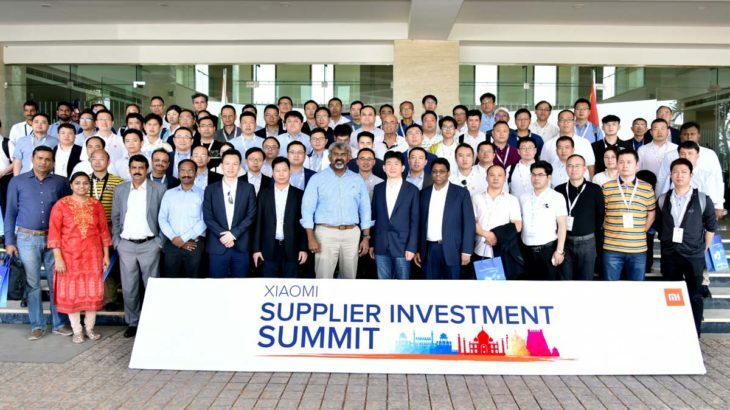 Sri City, April 12, 2018:- A 100 member delegation consisting of the Chief Executives of the Supply Chain Industries of the mobile phone major Xiaomi India visited Sri City on Wednesday evening. Mr. Verne Zhang, Vice President, and Mr. Jony Wu, Director, Xiaomi Communications Co. headed the delegation. Mr. Ravindra Sannareddy, Founder, Managing Director, Sri City extended a warm welcome to the visiting dignitaries and briefed them on the infrastructure and the specific advantages of setting up business at Sri City. The Union Government’s approval for creation of an Electronics Manufacturing Cluster (EMC) in Sri City and State government’s proactive policy have been kindling a lot of interest in electronic manufacturing companies across the world. In Sri City, EMC is an exclusive zone for companies involved in electronic R&D, design, manufacturing and assembly operations. In its first phase, around 100 acres of land is allotted for Greenfield Project consisting of a training centre, testing land and R&D centres for the units. Units in this cluster enjoy 25% M-SIPS benefits and AP investment benefits of 10%, in addition to several other incentives.